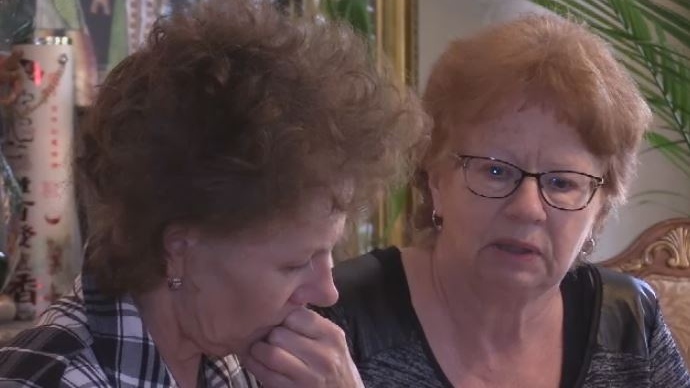 Members of a Nova Scotia family are speaking out about an old cold case in the hopes someone will finally shed some light on a mystery that has hung over them for decades. “Mom has talked to us about it down through the years and I think she always hoped that before our grandparents passed on there would be some kind of closure, you know, something for the family to go on as to what happened,” says Connie Sheppard. Sheppard and her sister, Janet Mamay, never met their aunt, but they have heard many stories about Ella Margaret Taylor over the years. Taylor was just 19 years old when she died 63 years ago and the circumstances surrounding her death are as cloudy today as they were back then. Taylor was well-liked in the community of Pembroke, N.S. and was described as “friendly” and “outgoing” by her friends and family. She came from a large family with eight children, who all lived in an old farmhouse near the water. Taylor, who had been working as a housekeeper in Windsor, N.S., was home for the summer and was running errands on June 29, 1955 when she disappeared. Investigators determined Taylor had stopped at the post office along what is now Highway 215 and then paid a visit to a girlfriend on the way home. But Taylor never made it home. The night she disappeared an old cabin went up in flames. Human remains were found in the rubble the next day and dental records later confirmed that the remains belonged to Taylor. However, investigators determined that she didn’t die in the fire. Police grilled potential suspects, but they never had enough evidence to lay any charges. Time passed and the case grew cold, but Taylor was never far from the minds of her grief-stricken parents. “I think it affected her to the point where she just kind of had to let it go and not dwell on it anymore,” says Mamay. Taylor’s parents would never learn the truth about what happened to their daughter. Her father died 18 years later and her mother followed two years after that. Both were laid to rest with the daughter they lost. Now, Taylor’s relatives are bringing the case back into the spotlight in the hopes of finally solving the mystery. They worry time is running out, especially for Taylor’s last-surviving sibling, Verna Mae Atwell, who is 91 years old and in failing health. “It was such a tragedy and they kept always waiting for it to be solved or settled, and it never, ever happened that way,” says Sheppard. Anyone with information about the death of Ella Margaret Taylor is asked to contact the Nova Scotia RCMP or Crime Stoppers. CORRECTION: An earlier version of this story said that Ella Taylor was walking along Highway 1 near Pembroke. She was walking along Highway 215 near another community with the same name. Ella Taylor's remains were found in a burned-out cabin in Pembroke, N.S. in June 1955, but investigators say she didn't die in the fire. The case has never been solved. Janet Mamay (left) and her sister, Connie Sheppard (right), never met their aunt, but they have heard many stories about Ella Margaret Taylor over the years. They remain optimistic the mystery of her death will be solved.